When loading my website in Google Chrome, I sometimes have the issue that the website just keeps loading. I think it has something to do with a request to Google Ads, but I'm not sture. I thought I could just find the slow script in the 'Network' tab of the Chrome Dev Tools, but the script doesn't appear there (possibly because it never finishes loading?). How can I check which request is causing the eternal load? Notes: These are performance tests for your webpage. ** If you could share your URL or run the above tests, you can easily know which resources are taking time to load, do the fixes accordingly to solve your problem. [SOLVED] How to optimize the load time of initial connection and SSL handshake phase of a web page on a 3G network? [SOLVED] Where do I find missing query string paramters for Google Analytics in Chrome Dev Tools? 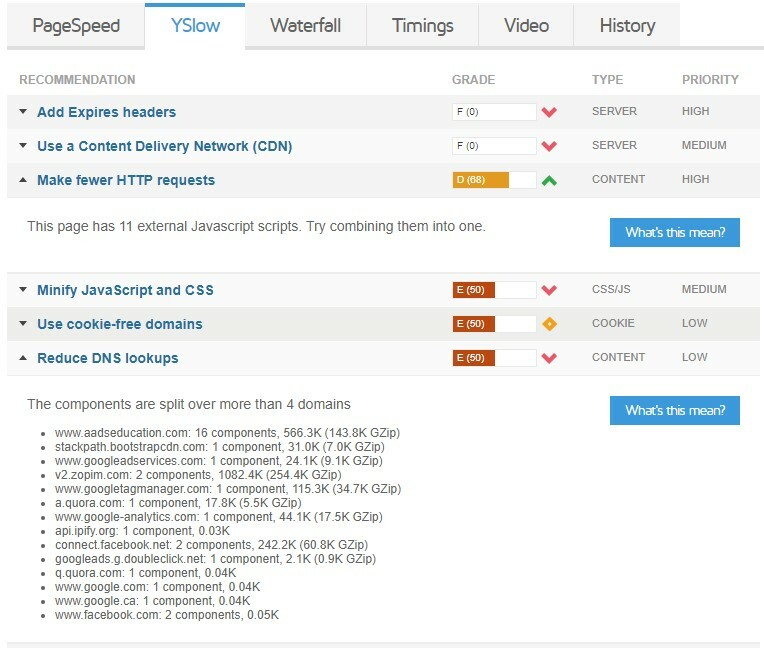 [SOLVED] How can I determine why my site loads slowly in Google Chrome? [SOLVED] What could be preventing Google Chrome developer tools' audit from completing?